V0lrat is a speedrunner who plays multiple games like A Link to the Past, Claymates, and Super Metroid. His modest Twitch channel hit 1,000 subscribers recently and he held a 24 hour stream to celebrate. Among the festivities was a Super Metroid run with a twist: vaseline. “This challenge was suggested by one of my loyal viewers and we decided to incorporate it in my 24 hour stream,” V0lrat told Kotaku over Twitter DM. “It was a funny idea at the time and I was hoping that it would be entertaining to watch.” While it didn’t make the run impossible, it did mean that V0lrat had some difficulty with movement and even fired off missiles accidently. 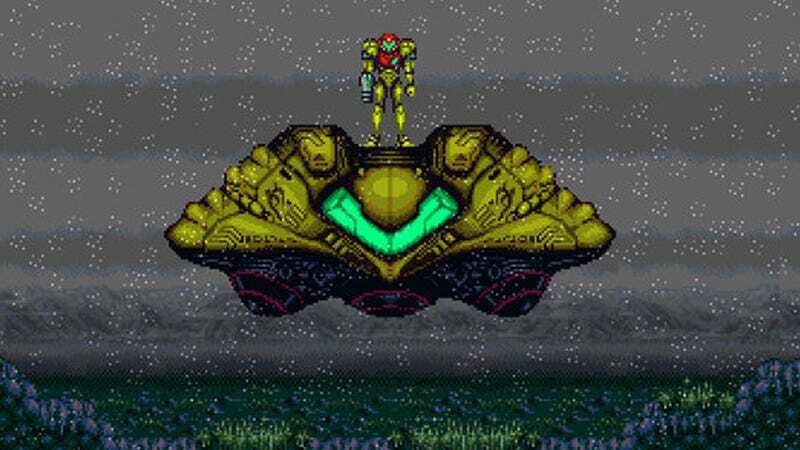 That can be a costly mistake in a Super Metroid run, as items and ammo can be scarce without taking time to farm enemies for drops. This isn’t the first time a speedrunner has completed a run while their controller was covered in a questionable substance. In 2014, Ocarina of Time speedrunner Moltov completed a playthrough of that can while his hands and controller were drenched with honey. These silly conditions are an extension of the various challenges that runners attempt from time to time. These range from blindfolded playthroughs or playing through a series like Dark Souls without getting hit. V0rat’s challenge was sillier and messier than usual, to say the least. If you’re curious about how the controller faired after the run, V0lrat shared a gallery of the cleaning process. The good news is that the controller works fine but the bad news is that these pictures are super gross. Here’s a look at how the controller looked during the run. Fortunately the controller lasted and the run was a success with an in-game time of 41 minutes. That’s a big gap from the world record of 28 minutes in-game but it’s still impressive. There has been at least one lasting consequence for V0lrat however. “There’s still a coconut smell in the room as we speak,” he said.